We are always looking for objects to preserve including literature and spare parts. If you would like to donate something contact us at the e.mail address above. Don't throw anything out without asking us first. The first way of recording click here. Transmitted vibrations of any frequency. The sensation stimulated in the organs of hearing by such vibrations in the air or other medium. Such sensations considered as a group. A distinctive noise: a hollow sound. The distance over which something can be heard: within sound of my voice. An articulation made by the vocal apparatus: a vowel sound. The distinctive character of such an articulation: The words bear and bare have the same sound. A mental impression; an implication: didn't like the sound of the invitation. Auditory material that is recorded, as for a movie. Music. A distinctive style, as of an orchestra or a singer. To set down for preservation in writing or other permanent form. To register or indicate: The clerk recorded the votes. To register (sound or images) in permanent form by mechanical or electrical means for reproduction. To register the words, sound, appearance, or performance of by such means: recorded the oldest townspeople on tape; recorded the violin concerto. An account, as of information or facts, set down especially in writing as a means of preserving knowledge. Something on which such an account is based. Something that records: a fossil record. Information or data on a particular subject collected and preserved: the coldest day on record. The known history of performance, activities, or achievement: your academic record; hampered by a police record. An unsurpassed measurement: a world record in weightlifting; a record for cold weather. Computer Science. A collection of related, often adjacent items of data, treated as a unit. An account officially written and preserved as evidence or testimony. An account of judicial or legislative proceedings written and preserved as evidence. 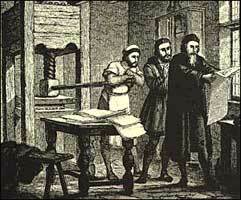 The documents or volumes containing such evidence. Something, such as magnetic tape, on which sound or visual images have been recorded. Sound is an organised movement of molecules caused by a vibrating body in some medium - water, air, rock or whatever. A vibrating body such as a tuning fork will vibrate causing air molecules to condense due to the moving body compressing the air molecules together. These molecules will then bump into adjacent molecules and cause them to condense, thus creating a wave. Meanwhile, as the vibrating body oscillates in the opposite direction the air molecules will be pulled apart causing the molecules to rarify. Sound is a mechanical energy. Sound waves are measured and described by their frequency and amplitude. Frequency is the measure of the number of cycles a soundwave can complete in one second, and is measured in hertz. The human ear can hear tones in the frequency range of 20-20,000 Hz. For tones below 20 Hz only a vibrating sensation is detectable. For tones above 20,000 Hz, one may feel a tickling sensation. A sound wave's frequency is determined by the frequency of the source; therefore, the frequency is known or at least unchanged by the medium which it travels. The velocity of a sound wave varies with air temperature. The variations in the pressure of a sound wave are measured by amplitude. The energy content of the sound wave determines the pressure (amplitude) of the sound wave, and is the measurement that represents the intensity of the sound wave. The average amplitude of the wave is proportional to the energy content of the wave. The more average pressure, the more energy contained in the wave. Humans perceive how high or low a sound appears as pitch. There are other outside influences that determine how we perceive pitch. These factors are amplitude, previous sounds, and alertness of the observer. Loudness, as perceived by the listener, is determined by amplitude. Amplitude is related to pitch. As amplitude increases, the pitch of high tones increases while pitch decreases for low tones. Frequency is the number of complete waves or oscillations or cycles of a periodic quantity occurring in unit time (usually 1 second). The wavelength of a sound wave is the distance the sound travels to complete one cycle. The symbol used to denote wavelength is the Greek letter lambda. V light wave >> V radio wave< V sound wave >V water wave >> V earth's rotation. A wave advances a distance of one wavelength in a time interval of one period. The frequency of a sound wave is the number of cycles that pass an observation point per second. Thus the velocity of propagation of a sound wave is its wavelength times its frequency. The frequency of a wave is independent of the waves' medium, however, the wavelength will depend on the wave velocity in the medium through which it is traveling. The history of recorded sound provides a valuable framework for the comprehension and understanding of history. Here are a few ways that you can use this framework to enrich the learning experiences of your students. Consider arranging a special outreach program to provide direct active learning through hands on instruction. Click here. Students always benefit from instruction which places historical events within a social, cultural and technological context. 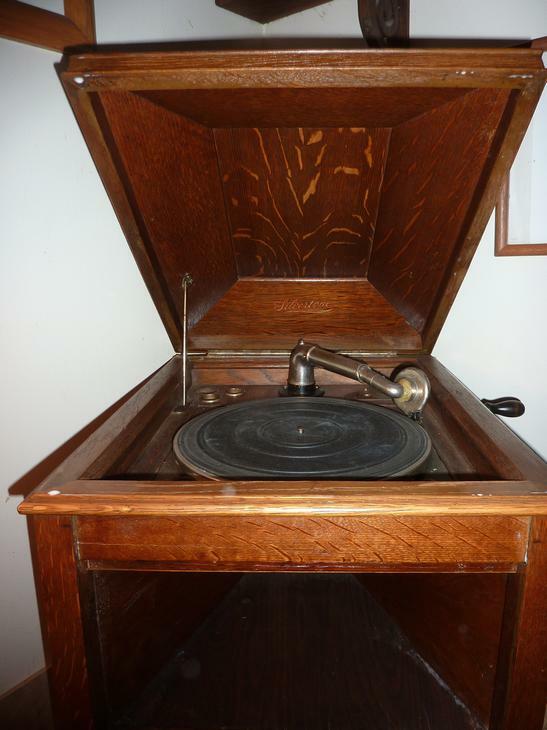 When you study the history of recorded sound you study inventors, the technological aspects of their invention as well as popular music of the time. Additionally each recording machine fit into a particular socio-cultural context within the home which reflected the society at large. Recordings carried the events of history as well as the entertainment world to the people. Recoding machines played a central role therefore, upon the stage of history. Along with presenting the inventor, the technology, the music and culture of the time include other dimension of popular culture such as costume/dress, parlor games, furniture, and architecture to the scene. 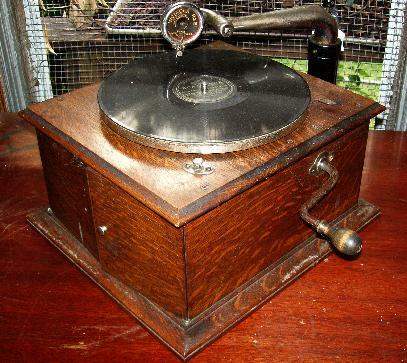 The history of recorded sound is far from a straight line from one development to another. After all each of these machines and recorded media for them are still available on the market today. The music and recorded sound still lives. The history of recorded sound illuminates the complex nature of the relationship of progress to society and cultural concerns. The interaction of inventors, their supporters, technology, the recording industry, artists and the consumer is exciting. Trace the ways inventions rebounded from these various interests as a ball in a pinball machine. Students find recorded history to be all around them. This history is an invaluable link to our past history and heritage. Tapes, home movies and other recordings provide context to our daily lives and a record for ages to come. This record is however fragile. The media needs proper preservation, transcription, re-recording and care. The machines need their own conservation and preservation. Reaching students today can help save our history for the future. Lessons which demonstrate the value of creating organized records of our daily lives will help continue the recording process. These are just a few ideas which we hope will build interest. Eventually we will have lesson plans for detailed study in this place. Each machine in our collection has a web page. On that web page you will find resources to prepare your students for our special presentations. Each page contains an activity as well as a brief history of the period which can be used for background study. There are many ways that the collection can be used for special classroom projects. Here is one. -Divide the class into groups of 1-4. One group for each machine/time period. -Direct each group to the chapter in their text for the period. Have them prepare that section for classroom presentation. As appropriate provide them with a guided reading activity. -Assign students the task of understanding the technology of their machine. How does it work and how was it invented. Who was the inventor- a short biography. -What were the popular songs of the period? A survey of the top ten. Students can locate lyrics and organize a sing a long. Remind them that they will eventually get to the songs of the 60s and their own period. -What social life surrounded the machine as it played? Popular card games, social games, foods....have students set up the class as if they were in the parlor of the time listening to the latest recording. Again-remind students that they will eventually get to a 1960s happening and a more recent party as they play along. -Have students go to ebay to find out how much the media and the machine would cost today. Have them search the completed auctions section. This way they might find a way to get involved with collecting. -Students can also research the preservation and conservation of both machines and media. If they had a machine or recording how would they take care of them? -For accountability have students write a test covering all aspects of their presentation. With the test they should distribute a study guide. Combine the student test with a test on the selection of the textbook covered by their presentation. Use a guided reading for the class to structure their learning experience. 1. 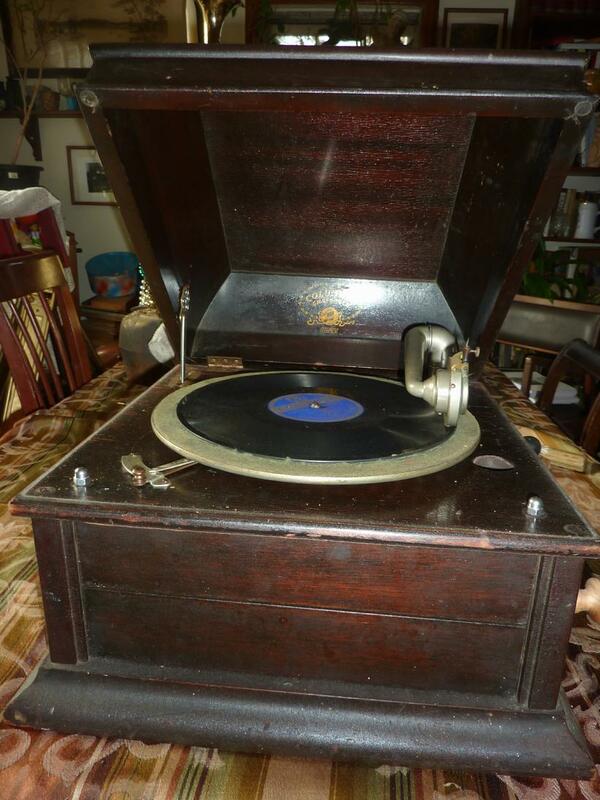 Phonograph salesman or "Jobber"-give a sales pitch for the qualities of the machine. 2. Music DJ- Run down the qualities of the top 10. 3. Interior Decorator/architectural consultant- how would the parlor look? The house? 4. Fashion consultant- What would the best clothing for parlor wear or listening be? 5. Nutritionist- Food advertizer- What would the sensible housewife/house husband be cooking? In the near future we will provide outreach programs in a variety of forms. We are located in the Baltimore Washington area but we can arrange to travel further. -Single Machine: We will demonstrate and describe one machine with a lecture, power point presentation. We will cover the music of the period, history of the times and background of the invention. A dj experience- get out the dancing shoes. -A Variety of Machines of your Choice- What are you interested in? -A Classroom Unit-We will direct or support activities such as described in the section above. We will come into the classroom, organize the unit, teach it. and demonstrate the machines and media. All you do is test them! Don't see it here? Let us know! We will tailor our presentations to your budget! Give us a dollar amount and we will see if we can get the show on the road. As with all historical objects and antiques recording and playing mechanisms and media require special care. Recordings should be transferred to modern media so that they last longer. Original recordings should be played carefully and infrequently so that they will not wear out. Always handle media and mechanisms carefully using cotton gloves to keep body acids from corroding them. Temperature and humidity controls should be maintained with as little fluctuation as possible. Metal surfaces should have a protective barrier a light coating of microcrystalline wax except in the case of moving parts which should be coated with light oil. 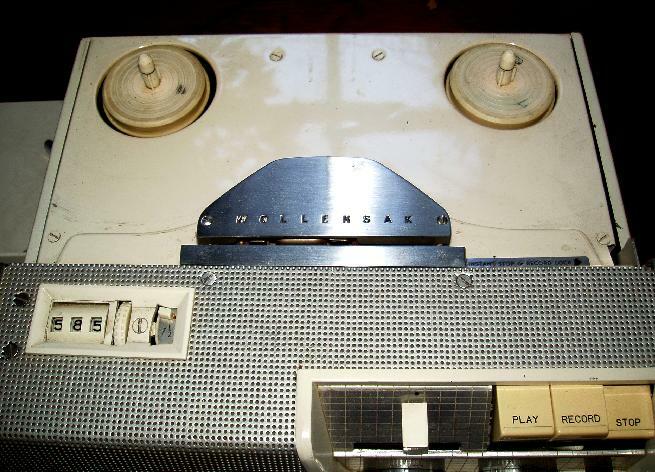 Wax cylinders require special care to avoid and remove mold. If mechanisms are to sit out they should be covered to protect them from dust. If mechanisms and media are in a sun lit room windows should be coated with a uv barrier or film to prevent damage to wood. Students should be encouraged to investigate the physics, chemistry and ecological dimensions of conservation and preservation. Preparation for safe and conservationist encounters with historical materials is essential and will result in the creation of a more positive environment for these materials. General Do not touch the playing surface/s of any recording. Clean hands before handling recordings. Discs Handle all grooved discs (78s, 45s, LPs, and acetate discs) by their edge and label areas only. Handle compact discs by outer edge and center hole only. Tape (Open Reels) Handle by the outer edge of the reel flanges and center hub areas only. 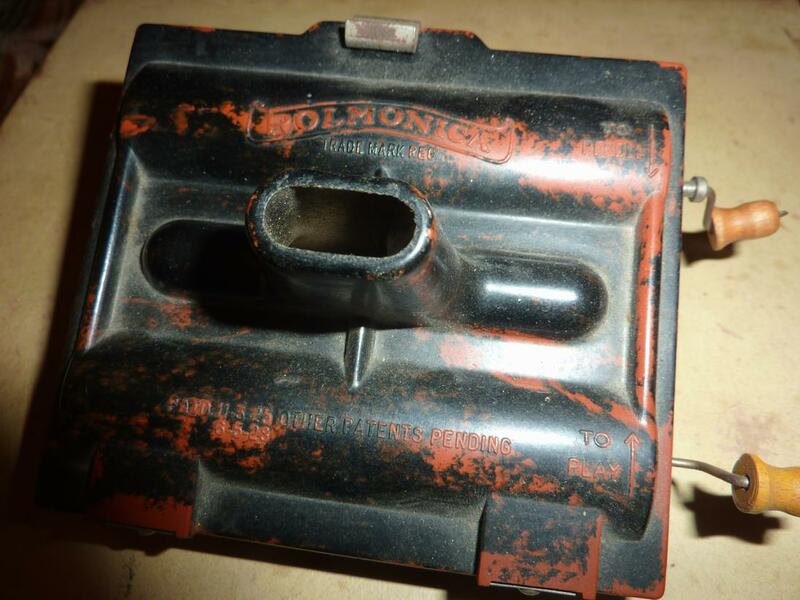 Do not squeeze flanges together -- it will damage tape edges. Audio and Video) Handle by outer shell, only. Do not place fingers or any other materials into openings. Cylinders Handle by inserting middle and index fingers in the center hole, then gently spread them to just keep the cylinder from slipping off. 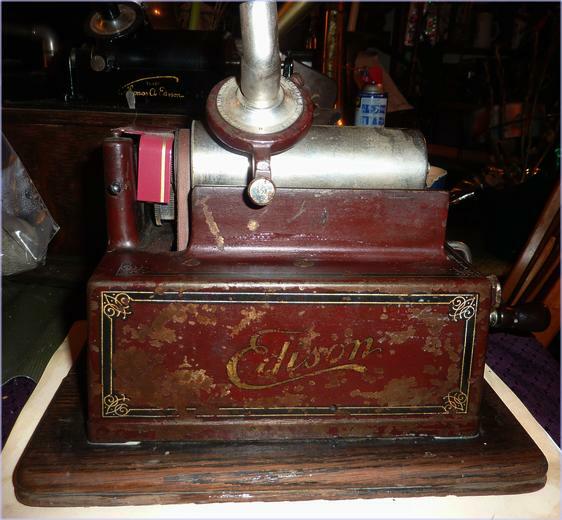 Do not touch the grooves of wax cylinders; they are very susceptible to mold. Wax cylinders should be at room temperature before touching; the thermal shock from the warmth of your hand can cause cold wax cylinders to split. General Keep all discs and tape both open-reel and cassettes standing upright, on edge. Store cylinders standing on their ends. Do not lay any recording flat, not even audio or videocassettes. Environment Keep all storage and use areas clean. Storage (materials to be preserved for a minimum of 10 years, ANSI IT9.13, 1996) Storage areas should be kept at a constant 65 to 70° F and 45 to 50% Relative Humidity (RH). Widely fluctuating temperature or RH severely shortens the life span of all recordings. Environmental conditions shall not fluctuate more that ±10 F or ±10% RH over a 24-hour period. Keep recordings away from light, especially sunlight and unshielded fluorescent lights. Tape Demagnetization In general, demagnetization is not a problem in most situations. For an added margin of safety to prevent demagnetization keep all tape (open reels and cassettes) away from potential sources of demagnetization, such as loudspeakers, most of which have sizable magnets in them. Do not set tapes on top of or leaning against any equipment which can be a source of either magnetic fields or heat. Be careful about operating machines with electric motors (e.g., vacuum cleaners) next to tape storage areas. Shelving Recordings are surprisingly heavy. For example, LPs average between 35 and 45 pounds per shelf-foot; 78 rpm and acetate discs are even heavier. Because of their shape and the design of their packaging, recordings will concentrate their weight in the centerline of a shelf, which can cause some shelving to collapse. Make sure that the shelving you choose is solid and well constructed. Discs Must be shelved vertically. Ideally, disc shelving should have full-height and full-depth dividers, spaced 4 to 6 inches apart, and secured at top and bottom. Less than full-height dividers may contribute to warpage. Interfiling discs of different diameter may also cause warpage. Tapes (Open reel) Boxes should be stored vertically. Dividers are not essential, but the boxes must be secured with a bookend and not allowed to fall. Audio and Video) Cassettes in water repellent plastic containers should be stored vertically "on edge," not flat. Cylinders Stored standing "on end," like a drinking glass. Winding tapes Contrary to what your local video-store may say, tapes, including cassettes, should not be stored in the rewound or fast-forwarded position. Ideally, play a tape completely through, then store it without rewinding. Rewind it just before playing it again. Cleaning Solution for Audio Records CD's and DVD's A simple, environmentally-friendly solution has been developed for cleaning acetate/lacquer, shellac, and vinyl records as well as CD's and DVD's. This solution has been used very satisfactorily at the Library of Congress. We have not compared it for its effectiveness against commercial products and have no intention to do so at present. While most of the lacquer records respond readily to this cleaning solution, a few isolated examples tend to retain a wax-like deposit that is resistant to this cleaning solution. A supplemental solution for cleaning such records is under development. Disclaimer While the Preservation Directorate is pleased to share this information, no guarantee is implied or intended that it will meet the needs of all users. Institutions or individuals who prepare or use the solution or solvents described here, must do so at their own risk. The Library of Congress will not be liable for any injury to any person or damage to any item resulting from the use of any of the materials, chemicals, solvents or procedures described here. Precautions We strongly advise against the preparation of the cleaning solution or its use, as well as the use of solvents by persons who are not trained in the safe handling of chemicals. Even well-trained persons should not prepare this solution at facilities that are not equipped with a working fume-hood that provides an acceptable air flow. Safety glasses must be worn during the preparation and use of the cleaning solution or the recommended solvents. Material safety data sheets (MSDS) for all ingredients and solvents must be made available to all persons involved in any of the procedures presented here. These documents can be obtained from the providers of the individual chemicals. Preparation Water used to prepare this solution and to wash cleaned items must be of the highest quality. Ideally, distilled water or at least water purified by a reverse osmosis system and/or by filtration through deionizing cartridges should be used. The ingredients used in the formula for the cleaning solution are clearly identified below. MSDS's need to be consulted, and implications for the health of the users need to be clearly analyzed and understood before the preparation and use of this solution. Triton™ XL-80N surfactant, 20 ml (0.5 percent). This is the active cleaning agent in the formula. It is available from Union Carbide Corporation, which is now a part of Dow Chemicals. Its main advantage is that it is designed to rinse out more easily than most other surfactants. Ammonia liquor (analytical reagent grade), 20 ml (0.5 percent). We analyzed the white deposits commonly found on acetate discs and determined that they consist of fatty acids which are formed as a result of degradation of the plasticizers that were introduced in their manufacture. This ingredient needs to be included only for the cleaning of acetate records. It will not hurt other records, but it may not necessarily clean them better. Alkyl dimethyl benzyl ammonium chloride, 0.5 ml (0.13 percent). One source of this chemical is Chemetall Oakite of Berkeley Heights, NJ, who sells it as "Oakite Sanitizer 1." This ingredient is added to inhibit the growth of micro-organisms during storage. It is also useful for disinfecting records which might have mold on them, but it does not influence the cleaning action. Enough water to make the solution up to a full gallon. Cap the bottle tightly and invert it a few times to mix the solution thoroughly. Note: It may be safer and more convenient to prepare a stock solution containing 10 times the concentrations of all ingredients, from which the solution for actual use can be readily prepared by a 10 time dilution. Directions for Use This cleaning solution can be used to clean records manually or in mechanized record cleaners. In either case, the cleaning step needs to be followed by a rinsing step in which residual cleaner is removed by washing with water. The disc is finally wiped dry using a soft, nonabrasive, lint-free cloth. This last drying step may not be necessary if a record-cleaning machine with a vacuum arm is being used. Disposal of waste and chemicals This solution is dilute enough, and the chemicals used innocuous enough so that the waste solution after cleaning of records can probably be disposed of down the drain. However, we would strongly recommend confirming this disposal practice with the local water authority, especially if significant amounts of the cleaning solution are routinely discharged into the waste stream. Direct disposal of any of the undiluted stock chemicals used in the preparation of this solution must always be undertaken only through an appropriately certified company or organization. Discs Most record sleeves should be replaced with a high density polyethylene such as DiscWasher V.R.P., Mobile Fidelity Original Master Sleeve, or Nagaoka No. 102 Anti-Static Record Sleeve. If an original paper sleeve contains text or graphics, the Nagaoka sleeves are thin enough to fit inside the paper sleeve. Some plastic or plastic-lined sleeves should not be used. As a rule of thumb, "bad" sleeves are clear and have a sticky or tacky feel whereas "good" sleeves are frosted in appearance and have a slippery feel. 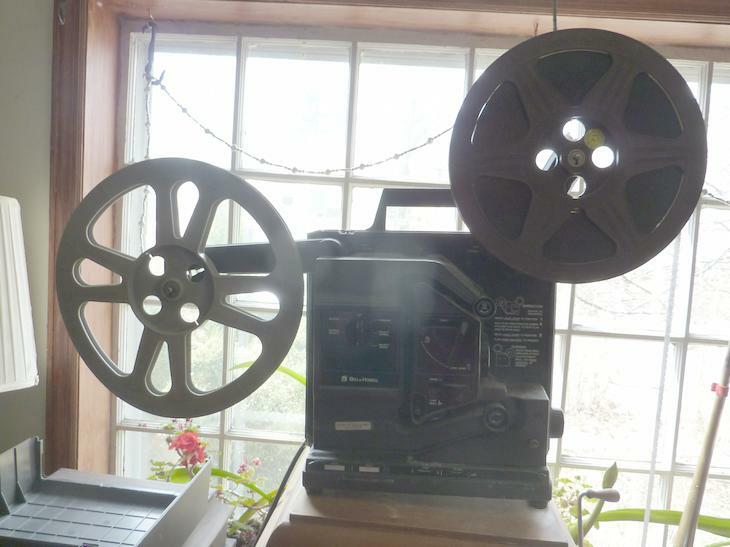 Tape (Open reels) Replace any reel which has a slotted hub. Only reels with unslotted hubs are acceptable for storage. Reels with slotted hubs may be used as take-up reels. Clean equipment (tape heads, guides, etc.) often and thoroughly with isopropyl alcohol and cotton swabs. Demagnetize tape decks periodically; if you are unsure about doing this leave it to a professional. Clean the phonograph stylus before playing each disc side using a densely packed bristle brush such as DiscWasher's SC-2 or LAST's stylus cleaning brush. Learn how to balance and set the tracking and anti-skating on your tone arm. Check the settings at least once a month or anytime you hear mistracking. to the preservation of sound recordings, still and moving images, and magnetic tape. Washington, D.C.: Commission on Preservation and Access; c1993. 14 p.
Kathryn Luther; Henderson, William T. Conserving and preserving materials in non-book formats. Allerton Park Institute Conference; 1988 November 6-9; Urbana. Urbana-Champaign, Illinois: University of Illinois at Urbana-Champaign. Graduate School of Library and Information Science; 1991. 27-44.
supported by a grant from the Rockefeller Foundation. Washington, D.C: Library of Congress; 1959. vii, 74 p.
Note: Bibliography; photographs; illustrations; diagrams. 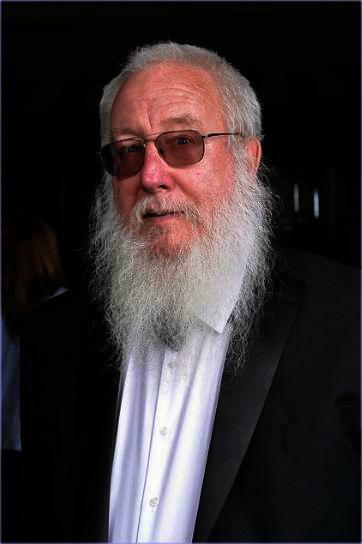 Reprint available from Association for Recorded Sound Collections; attn Elwood McKee; 118 Monroe St., Apt. 610; Rockville, MD 20850-2511. The basic document on the preservation and storage of all audio recordings before CDs reports on a study of preservation and storage of the more common sound recordings of the period. Conclusions include information and-or recommendations on storage environment, control of mold and fungus, furniture, and packaging. sub-tropic climatic conditions." IN: Fontes Artis Musicae; 1986; (33): 100-104. Note: Presents the complications in archiving that have taken place with the advent of digital audio recording technology, most notably incompatibility of systems and/or media. Presents comments on analog tapes from John Matarazzo, manager of technical services for Sony, concerning binder breakdown, crystallizing or oxidizing of lubricants, and treatment resulting in temporary stability in order to make working copies; continues with uncertainty of how well digital tapes store and critical nature of temperature and humidity in storage, with information on metal evaporated tape, with some of advantages of optical recording technology, that Open Media Framework (OMF) is addressing problem of incompatibility and back up systems. "The requirements of OMF are that we continually keep it backwardly compatible so, as we extend the capabilities in the file format and the specification, we will continue to support the things that were in there originally. That means that you can never have an OMF file that you can't go back to and open and process with the capabilities that you have at that time." Bouley, Raymond J. "The Life and death of CD-ROM." CD-ROM Librarian. 1992 Jan : 146-151. "Compact disc problems." Conservation Administration News. 1989; (36): 20. Note: Information on problems with compact disc in relation to deterioration caused by label ink, oxidation of aluminum, and storage conditions. Day, Rebecca. "Where's the rot? A Special report on CD longevity." Stereo Review. 1989 Apr; 54(4): 23-24. Fantel, Hans. "Pampered record can live to be 100." New York Times. ; 1976 Oct 10; D: 26-28. Note: Reports on tests of LP record wear, and on cleaning devices and agents, measuring the increase of noise and distortion in successive plays of discs cleaned each time before playing. Concludes that such a disc almost as good after 200 plays as when new, but that a dirty, neglected disk may be badly damaged in less than twenty plays. Fantel, Hans. "Keeping it clean : Solutions for record care." Opera news. 1977 Apr 2; 41: 38-39. Note: Includes information on Zerostat, Staticmaster, Discwasher, Radio Shack's Hydro-Stor, Audio-Technica's AT610, Watts' Disc-Preener and Manual Parastat, Audio Technica AT6002, Vac-O-Rec, and Fidelipac's Spin & Clean Record Washer. disks." Library Technology Reports. 1991 Feb; 27(1): 5-116. Note: Bibliographic references. Reports on survey of currently available information about the stability, care, and handling of non-book media, including microforms, magnetic media, and optical disks. Organized according to media type, each including an introduction to the media and to its physical and application characteristics; description of recording technologies and technical processes; scientific information about stability; discussion of environmental and other factors which can affect the chemical behavior and physical properties of the media; and guidelines for care, handling and storage. Woodcock, Roberick; Wielage, Marc. "Laser rot." Video. 1987 Apr : 49-52. Note: Includes description of deterioration of signal on video discs and possible causes; gives partial list of some titles where problem has been found. Competitive Performance Review [press release]. Redwood City, CA: Ampex Recording Media Corp.; . 3 p.
Note: Reviews the performance characteristics of the cited Ampex product; in doing so, includes the strongest statement yet from a manufacturer concerning use of R-DAT as an archival medium: "Ampex's position about archiving valuable source programming to R-DAT is simple. We do not recommend it." They, then, give three reasons why it is not advocated: retrievability of damaged analog vs. total loss of digital data; future access to recorders and lack of experience with media and systems; and doubtful interchangability of tape and machines. DeLancie, Philip. "Sticky-shed syndrome: Tips on saving your damaged tape." In: Mix Magazine; 1990 May: 148-152. Note: Describes the problems, the likely causes, and a proposed solution to the sticky-shed problem with magnetic tape. Fox, Barry. "Master tapes come to sticky end." In: New Scientist; 1992 September 22; 127(1735): 15. Note: Reports problem of deteriorating sound recording tape, result of which is that the tapes are very difficult to run and may, in serious cases, jam in the recorder. The cause is thought to be the deterioration of the polyurethane binder used to hold the magnetic material onto the tape base, probably caused by hydrolysis of the polyurethane brought about by atmospheric moisture adsorbed onto the tape surface. A method for temporarily reducing the problem so that copy recordings can be made is described. VanBogart, John W. C. Magnetic tape storage and handling : A Guide for libraries and archives. Washington, D.C., St. Paul, MN: Commission on Preservation and Access, National Media Lab; 1995. , ii, 34 p; ISBN: 1-887334-40-8. Original instantaneous sound recordings are in need of special preservation care. 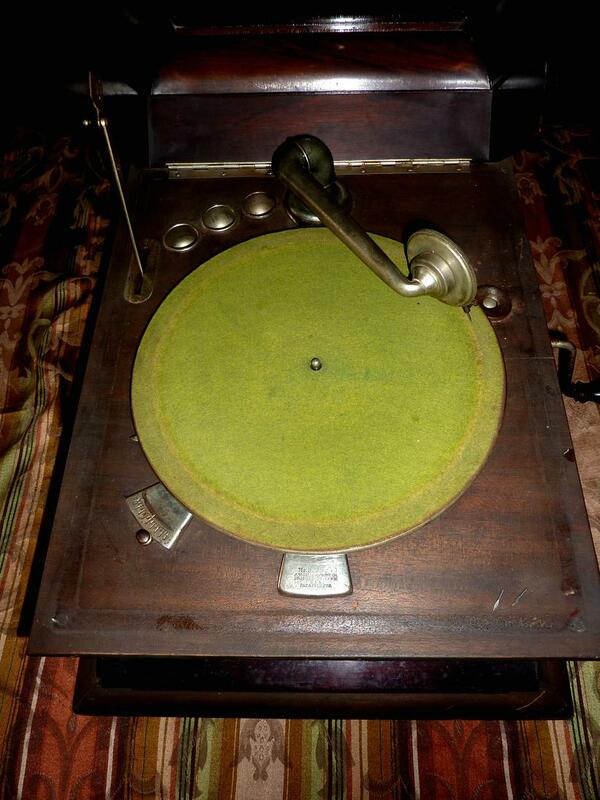 Today many of these historical sound recordings are reaching the end of their life span. 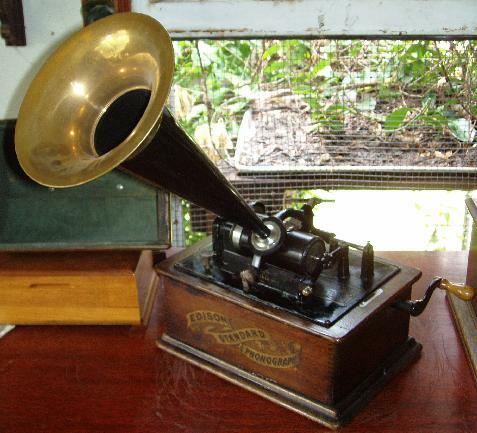 Wax cylinders, the earliest sound recordings, were made from a mixture of different waxes. 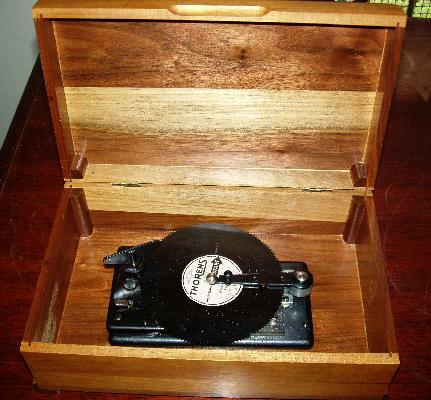 The special wax mixture had to be soft enough to scratch with a needle, but hard enough to hold the groove and play back. Over the decades the different waxes in the cylinder try to separate, gradually destroying the recording. Cylinders also break very easily. Because of their age, cylinders often need attention before preservation copies can be made from them. Even broken cylinders can sometimes be carefully reassembled and played. In addition, the equipment needed to play cylinders for duplication is becoming rare. Playing the cylinder must be done with great care in order not to damage the delicate grooves in the wax. Aluminum disc recordings, used in the nineteen-thirties and forties, were made by a stylus scratching directly onto the aluminum. These recordings are highly durable, though they might be damaged by repeated playing or improper storage. But the durable aluminum discs could not be re-recorded and most recordists preferred using an acetate (plastic) coating on the aluminum disc, which then could be re-melted and re-recorded. Over time, however, the acetate coating "extruded" or gave off softeners, which appear as a white dusty coating on the surface of the disc. This diminishes the sound quality. Eventually, the acetate will dry out and flake off the aluminum base, destroying the recording. Glass was used as a base for acetate disc recordings during World War II, when aluminum was required for the war effort. These glass discs are very fragile, and are easily broken. All disc recordings may be damaged simply by playing them. 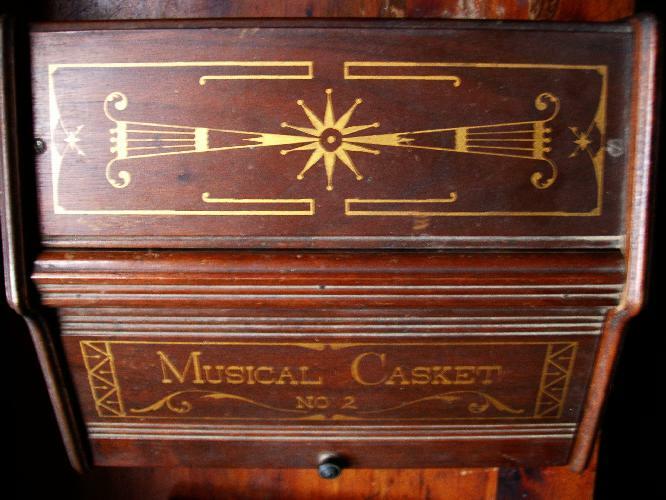 To play an early disc so that the sound may be copied onto a preservation medium, special needles must be used. A modern phonograph needle would destroy the recording. 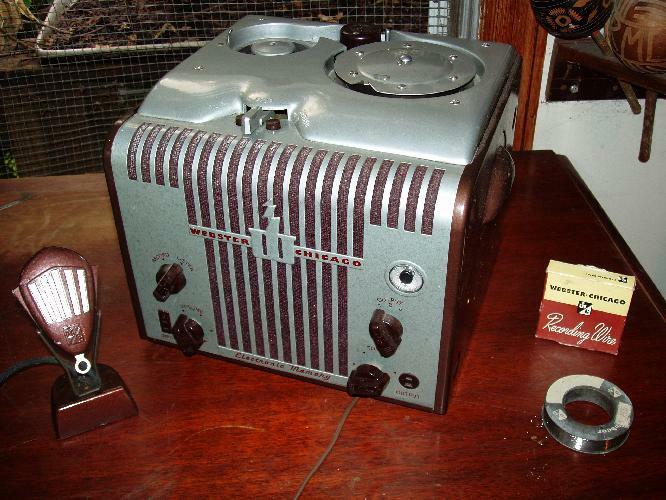 In the late forties, recordists began using magnetic media to record sound. Both tape and wire recordings were developed. Wire had the advantage of producing high quality sound, but the hair-thin wire easily tangled. The recordists carefully taped down the ends of the wire to prevent them from uncoiling and tangling, but over time these small pieces of adhesive tape dry out and the wire tangles. As a sound engineer attempts to rescue the tangled wire, it often breaks. Though it can be respliced, it must be played to be sure that the fragments are assembled in the right sequence, and that no segments are put together backwards. Because wire recording was used for only a short period, wire playing equipment is especially difficult to find. Tape recording uses iron oxide on paper tape or plastic tape to make the magnetic recording. Paper tape, like all acidic paper, becomes fragile over the years. Paper recording tape was used for only a short time, though it did produce good quality sound recordings. The first plastic tapes were acetate, and suffer similar problems as acetate disc recordings. Also, the coating on early plastic tapes can flake off or deteriorate, making it difficult or impossible to retrieve sound from the recordings. Polyester tape, introduced in the sixties, is a stronger backing for the iron coating. If the tapes have been stored in a humid place, they may need cleaning before they can be played. But the polyester base is more durable than acetate, so these recordings may last much longer. High-quality polyester tape is preferred even today as a preservation medium for archival sound recordings. However, even in the polyester tape era, things could go wrong. A problem called "sticky-shed" developed on some recordings made in the late seventies and early eighties because of a manufacturing problem. Tapes with sticky-shed can become stuck together, and must be baked at a low temperature in special ovens to make them playable. Today, with DAT recordings that may be lost due to unpredictable sound drop-outs, and writable CD recordings that may delaminate and become unplayable, the durability of sound recordings is still an issue. As digital sound technology develops, we may discover better methods to make sound recordings and preserve them. But preservation of older recordings is a critical task for all sound recording archives. The sound must be retrieved from older recordings before the media they were recorded on deteriorates and the sound is lost forever. Save Our Sounds is an official project of the Save America's Treasures program of the National Trust for Historic Preservation.